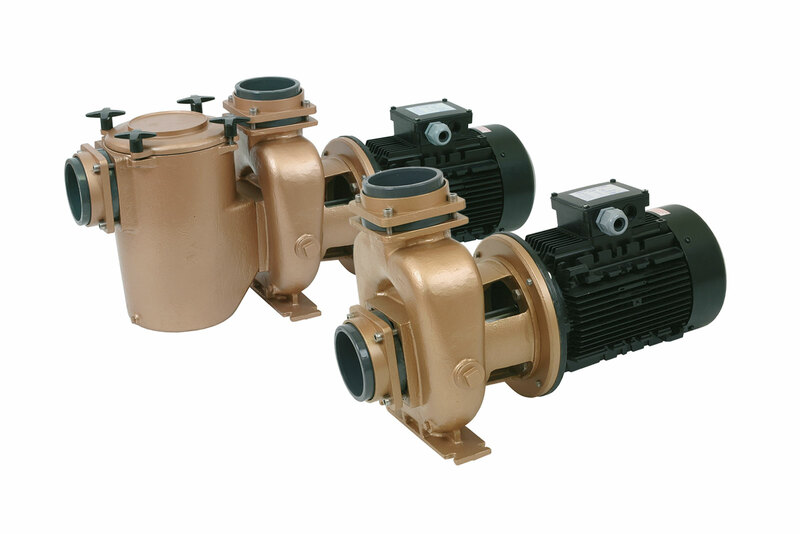 Pool pumps of bronze run quiet and are stable. The pump impeller is also made of bronze and it is fitted to a shaft made of acid proof stainless steel. Pool pump 7.5kW is available in two versions; with or without pre-filter. Pumps without pre-filters for various purposes where the only requirement is distributing water. Suitable for i.e. spas, circulation, solar heating, fountains and waterfalls. The pool pump with pre-filter is equipped with a strainer basket which makes it easy to remove dirt such as leaves. The pool pumps are equipped with a strainer basket to make it easy to remove dirt such as leaves and insects.